Plastic hand corker for inserting corks. 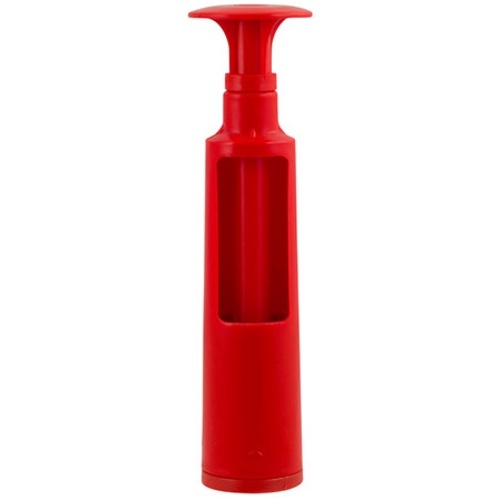 Insert a cork through the plastic window, and push down on the plunger to insert the cork into the bottle. This operation takes a lot of strength, but can be used effectively when you do not have a large quantity of bottles.